Remember playing with remote control cars when you were a kid? On Christmas morning you’d open it up and be the happiest kid in the world and you couldn’t wait to get it charged so you could go outside and play with it. That was a long time ago, at least for some of us, and nowadays things are quite a bit different. Remote control technology is significantly more advanced and now we can do things that we used to only dream about. 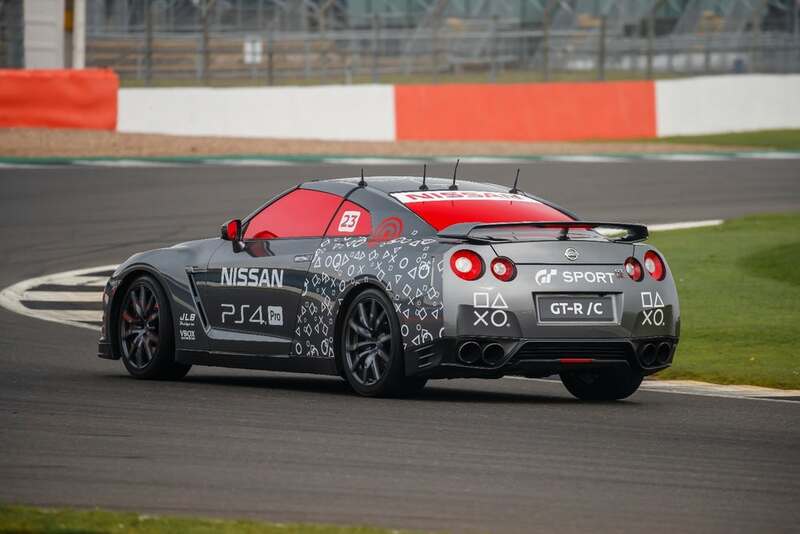 Take for example this Nissan GT-R that is 100% controlled remotely, and not in a way you might be expecting. If you’re a moto enthusiast and weren’t into R/C cars, you were most likely a gamer. Chances are, you were probably both. Video games are the perfect little getaway that can give you the speed fix you want, while also having some fun. And that was back when the games were fairly basic. However, “basic” isn’t a word that would ever be used to describe new racing games like Gran Turismo Sport, Forza 7, and a personal favorite of mine Forza Horizon 3. These games are meticulously developed to be as close to the real thing as virtually possible. In fact, they are so good that some of the top gamers have actually been able to use their skills with a controller to get them behind the wheel of a real race car! One of the lucky and talented individuals that made this dream a reality was Jann Mardenborough. 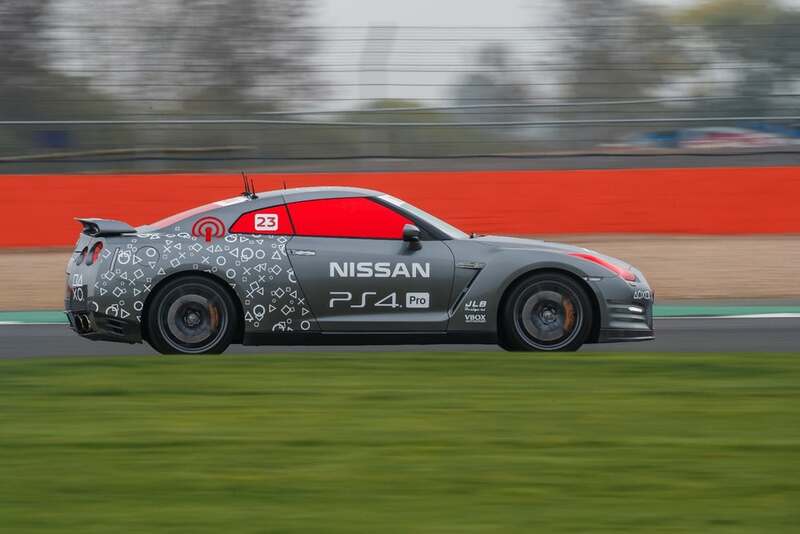 He attended the GT Academy back in 2011 which is essentially a racing game competition where the winner gets to link up with a race team. 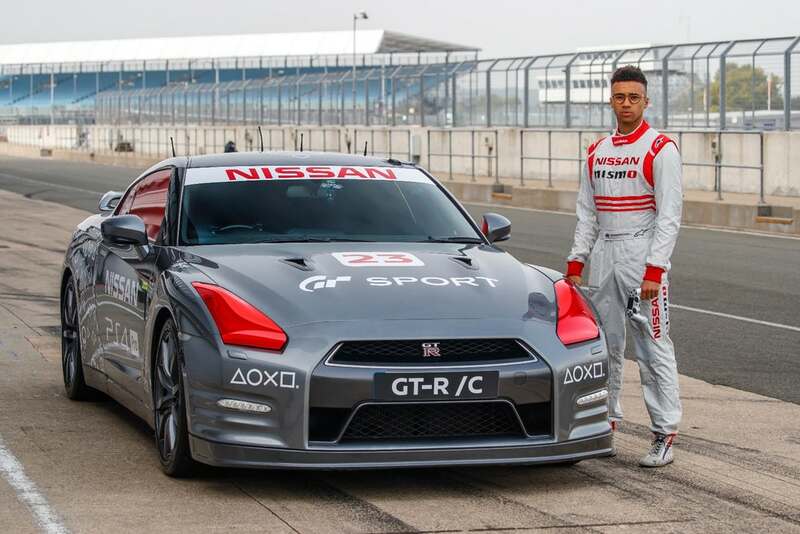 After doing quite well in the competition, he landed himself a full-time gig as a professional driver for Nissan in Japan. How cool is that right? 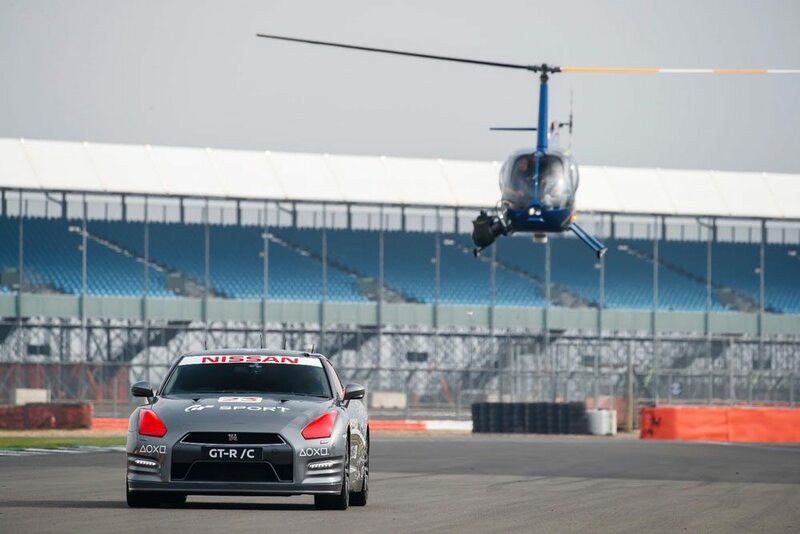 Jann’s credentials made him the perfect candidate to pilot this one of a kind GT-R. Why you ask? 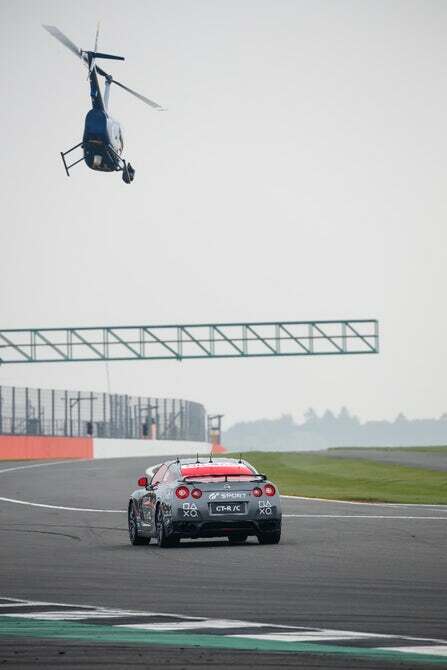 Well, that’s because the GT-R would be going out for a few hot laps at the famous Silverstone Circuit. 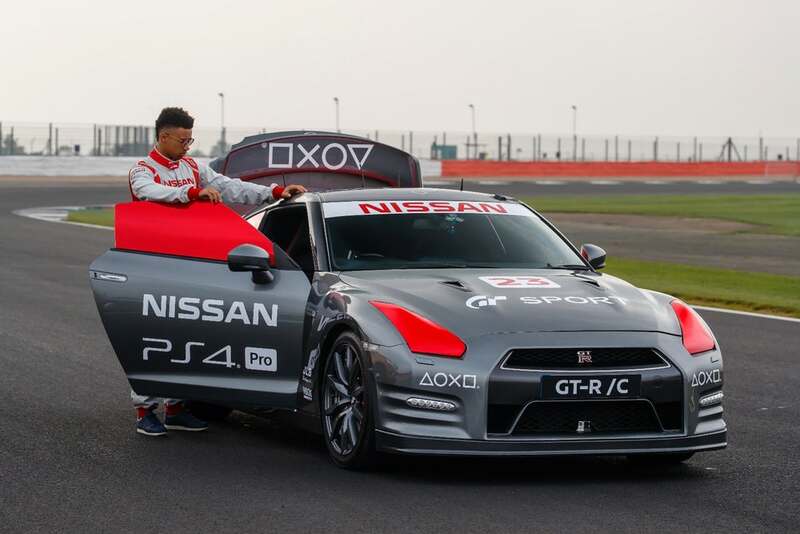 And what makes this particular R/C GT-R so appealing is that it would be controlled using only a Playstation Controller! 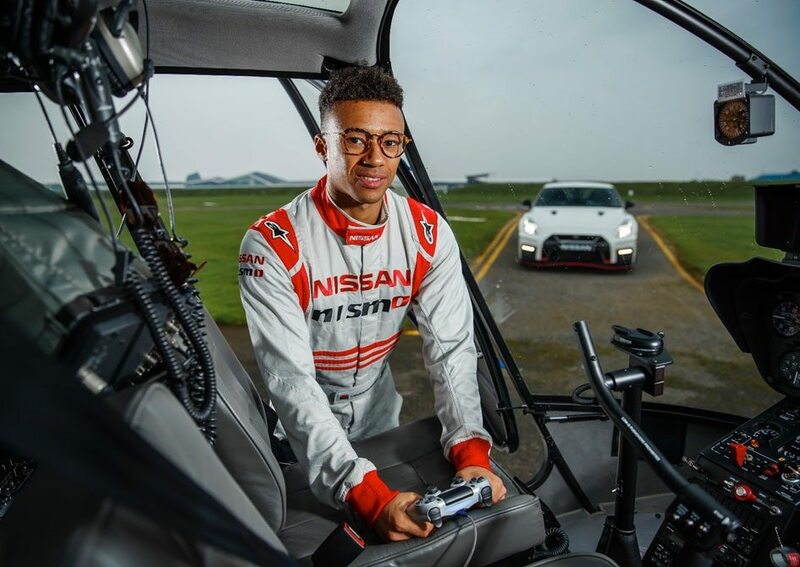 Mardenborough flew above the car in a helicopter as he used Play Station’s DualShock 4 to control every single aspect of the car as it blasted around the race track. Don’t assume this was a put-put lap either, he pushed the car to an average speed of 76mph and a top speed of 131mph which resulted in a very respectable lap time of 1:17:47. If you’re like me, that’ll take a minute to wrap your head around how fun that would be. Especially when you see him pull the trigger (which is usually the throttle when playing racing games) and actually hear the car rev up. He moves the joystick left and right and the front wheels follow suit. What an incredible experience that must’ve been. Controlling a real automobile isn’t necessarily a new thing. I think even an old episode of Top Gear had something along those lines where May and Hammond played soccer with them. I know the Mythbusters built one too. But none of them was anything close to being on the level of this GT-R. As I said above, this is on a real race track and for all intensive purposes, the GT-R is a full blown race car. That will require far more input with even faster reactions in order to prevent it from careening off the tarmac. Converting the car so that it’s controlled via the DualShock 4 was an extremely difficult task. The only way they pulled it off was to enlist the help of a few robots and a half dozen microcomputers, not to mention a truckload of servos, receivers, transmitters, and a wireless system that’s good up to a half mile. The system is so sophisticated that it apparently monitors movements at more than 100 times per second. However, even with all that high tech equipment fail safes had to be put into place. Apparently, two additional operators used independent safety systems that could cut power to the engine as well as slam on the brakes. They were also connected using a wireless system, but one that was totally separate from the one Mardenborough used. That was probably a good thing because after all, we are talking about a $100,000+ car with as much as 600hp and weighing in at well over 3,000lbs. Catastrophic would be an understatement that thing malfunctioned at full throttle.